Many in the construction industry are glad that the recession has begun to fade away in the rear-view mirror. The Bureau of Labor Statistics reported 1 that the economic slowdown cost the construction sector some one and a half million jobs between 2007 and 2009 alone. With the economy gaining steam, however, construction projects are back on the front page of federal and state spending projects. 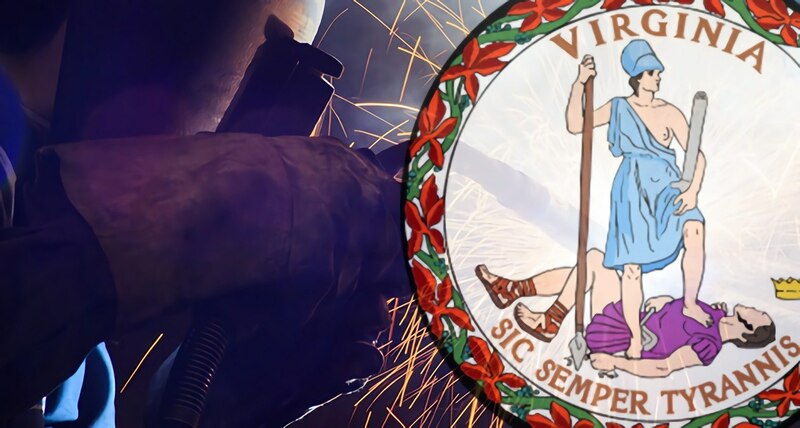 The state of Virginia in particular has exciting construction slated for 2015, in no small part due to its proximity to Washington, D.C. What are the best construction sectors in Virginia that will benefit from a large variety of new projects? These may provide jobs to those who have completed training at a welding school and are ready for employment. Virginia Business notes that the office construction sector hasn’t recovered quite as well due to the scarcity of new office demand. That doesn’t mean that no offices are in construction, however, and Tyson’s Corner in particular is experiencing a boom. A ten-story, $100 million office tower is scheduled to be completed by the end of 2015. It will tap into the nearby Silver Metro Rail lines running up and down the state. For those who want to work in the new tower, an estimated 700 new apartment units are slated to go up in the same area over the next year. With the development of the Affordable Care Act, the medical community is reaping the benefits of increased spending through new insurers, both public and private. One example of the boom is the expansion of the Inova Fairfax Hospital, which expects to work through the year on a new children’s medicine unit. The hospital expects to open its doors in 2016 after the completion of the $850 million expansion. Existing upgrades on the Inova Hospital that have been ongoing for the past five years include a an eleven-story surgical tower and a twelve-story replacement for the current women’s hospital, with the official ribbon cutting ceremony scheduled for February of next year. With the wealth of rivers, islands, and inlets that Virginia has to offer, connecting populations to one another is critical for development. When infrastructure breaks down, as it always does, the need to rebuild fast is paramount. WKTR News reports that the Rudee Inlet Connector Walk project will create a ten-foot-long walking platform over the Marina District of Virginia Beach to connect the number of stores, restaurants, and businesses that sit on the waterfront. New construction efforts along the Rudee Walk include a four-star hotel, upscale condos, and public parking for all who come down to the beach district. As with all other parts of the country, construction will always be needed along the span of highways that are in need of updating. The Gainsville Route 29 project is one such interchange that’s long since been in desperate need of an upgrade. Throughout 2015, construction will take place on the interchange, in order to reduce the traffic congestion that has plagued the Gainsville region. VirginiaDot reports this is one of the largest new construction projects in the entire state. This project is expected to include removing old traffic signals to put in new wiring and lights, providing a ten-foot shared use path and a five-foot concrete sidewalk to alleviate both traffic congestion and pedestrian congestion once the roads are in high use. What these construction projects translate to is expanding opportunities for construction, welding and other skilled trades workers. As the United States starts to see economic recovery, the construction industry will need more qualified workers to build these important infrastructure projects. Virginia is just one state experiencing construction growth. If you are interested in seeking welding training, don’t hesitate to contact TWS today for more information.